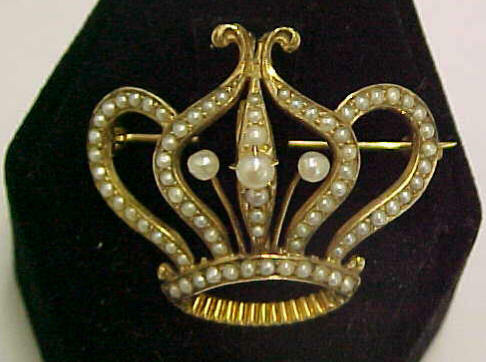 Victorian Seed Pearl Watch Pin with 10k Gold Crown Motif. Space #178. $150.00. 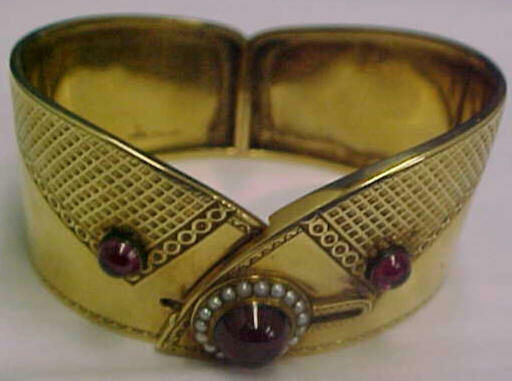 Victorian 1860-1870 14k Gold Hinged Cuff with Garnets and Seed Pearls. Space #178. $2500.00. 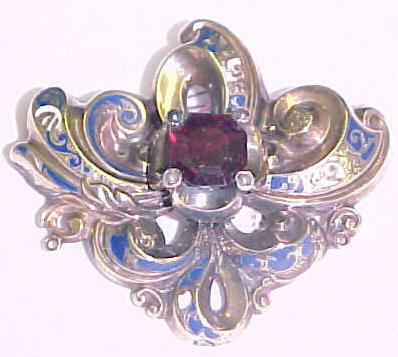 c.1870 Garnet and Natural Pearls Brooch in 14k Gold. 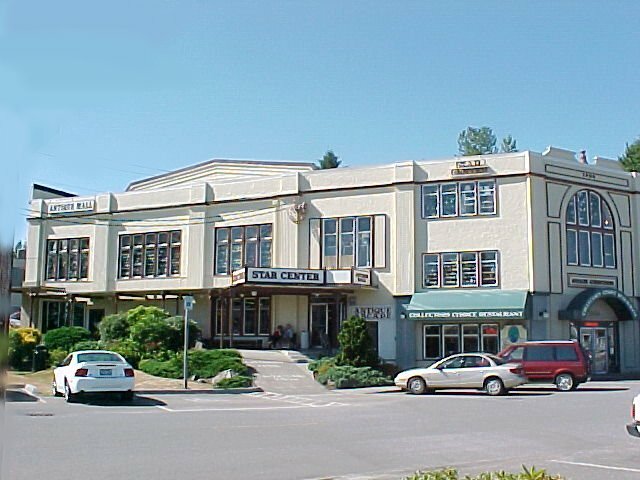 Space #20. $327.00. 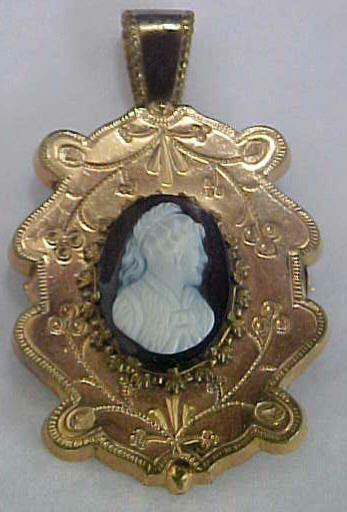 Victorian Onyx Cameo Pendant Pin. Space #4. 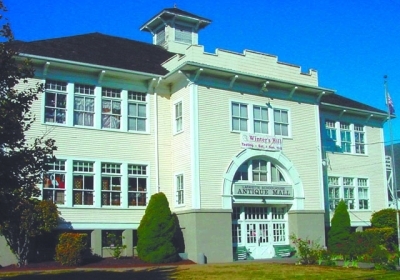 $250.00. 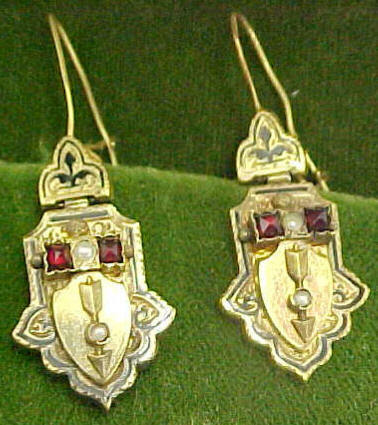 c.1860 Pearl and Garnet Gold Filled Earrings. Space #178. $395.00. 14k Gold Victorian Bracelet. Space #4. $325.00. Queen Victoria was the trendsetter for fashion and jewelry for women. For example her wedding ring of choice was shaped like a serpent twining around her finger- it represented eternity, wisdom and good luck, it didn’t have the negative connotation one would infer today from such a choice of wedding band. 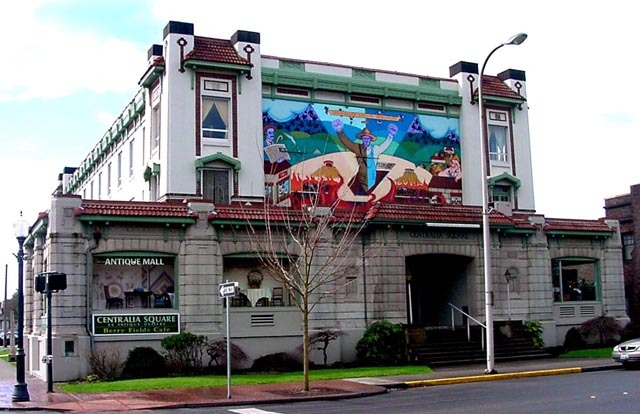 Nature inspired motifs were used throughout the period as were romantic themes. Gold wirework and filigree gained popularity in the mid-1800s. Semi-precious stones were common in Victorian jewelry too, as they made the jewelry more affordable to the newly-emerging middle class. However, large diamond deposits were discovered for the first time in 1867 so diamonds were no longer the exclusive province of the ultra wealthy; therefore diamond jewelry was also produced in larger quantities than in earlier times. Victoria’s husband Albert died unexpectedly in 1861, plunging the Queen into deep mourning- and, of course, British subjects followed her lead. Hair jewelry was common. There are two basic types of hair jewelry- in the first, there is a concealed braided lock of hair hidden or displayed usually behind a glass panel (lockets were commonly used for this). The second variety was actually constructed wholly of intricately woven hair, amazingly delicate in appearance. Cameos were worn by women throughout the period, as Victoria herself loved them and wore them extensively. Cameos are usually produced in Italy of shell, set into gold. The best ones are “convertibles” meaning there is a flip down loop that can be used to wear the cameo as a pendant, as well as a bar pin to wear it as a brooch. The very most desirable cameos depict Classical themes from Roman mythology; also the quality of the carving and the amount of detail and intricacy affect the collectability. Incidentally you can very loosely date a cameo by the nose of a profile- The newer the cameo, the more pert and upturned the nose. Larger Roman profile noses were the Victorian preference. Cameos also were made of lava and coral, which are rare today.